Last weekend we took Monday off as well and spent some time with family and friends for our 30th wedding anniversary. We stayed at Omori on the western shores of Lake Taupo. Here are some snaps I managed to get. 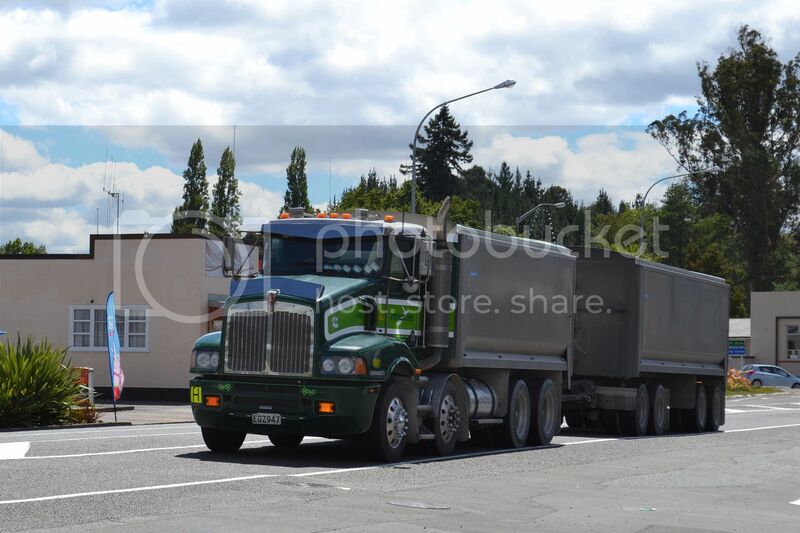 At Taihape, on the way north, I caught this day cab 2012 Freightliner Argosy hauling a load of what PTS was originally known for hauling. 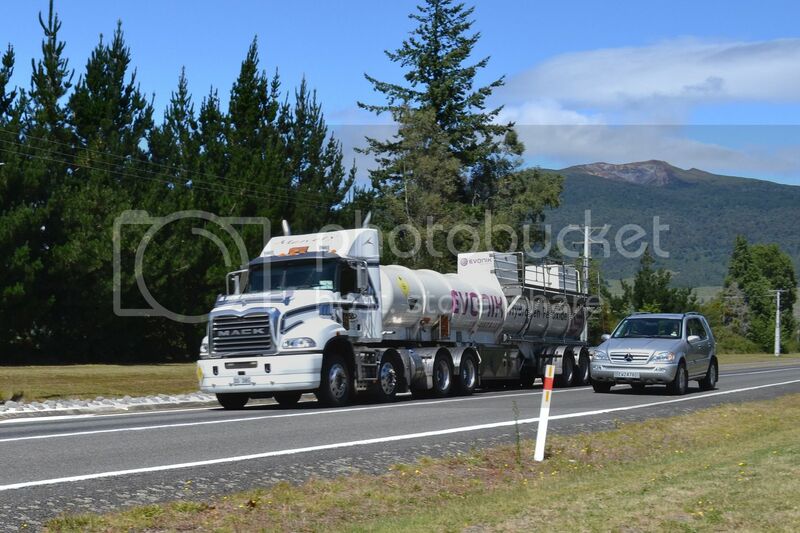 Menefy's 2003 Mack CX688 with Hydrogen Peroxide tank zooms north at Turangi while the Mercedes ML takes the left lane to turn in to Turangi. Osborne's 2007 Isuzu Giga 500. 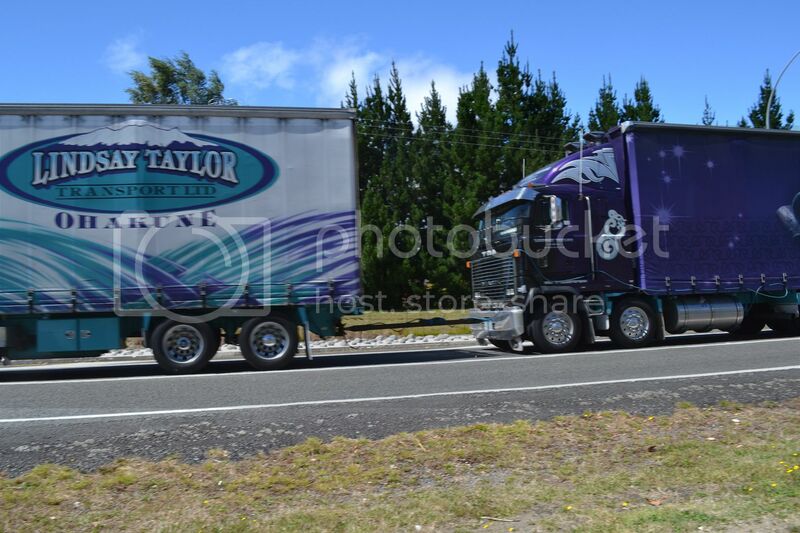 Again at Turangi. I snapped away on Highway 1 while the girls were in the supermarket. 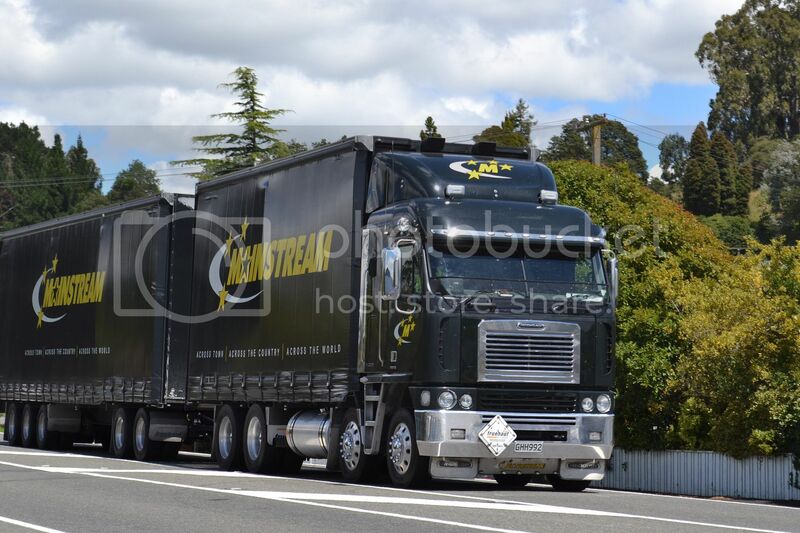 Mainstream Kenworth K108 from 2013. 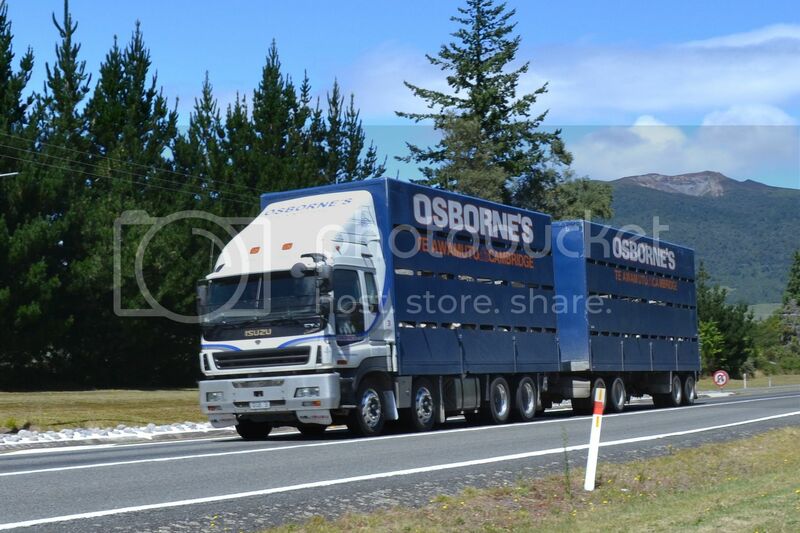 A 2012 Hino full of bread and pies. 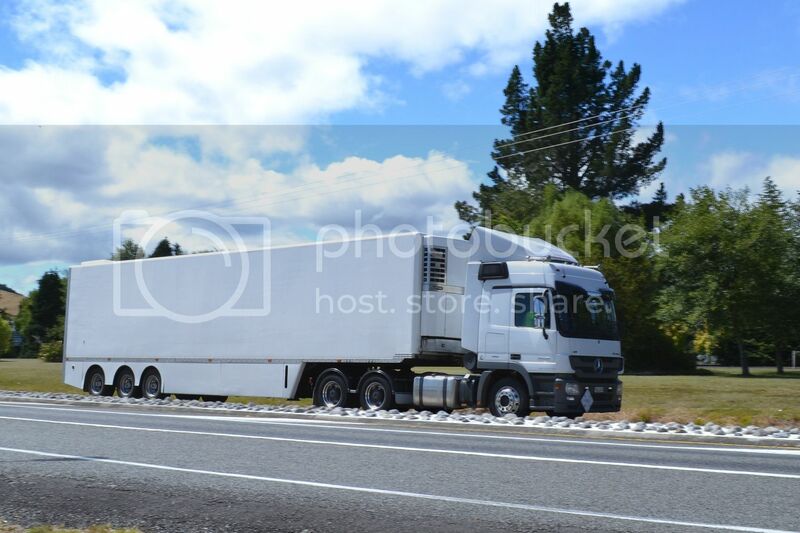 Big Chill Volvo takes the left lane to turn in to Turangi. 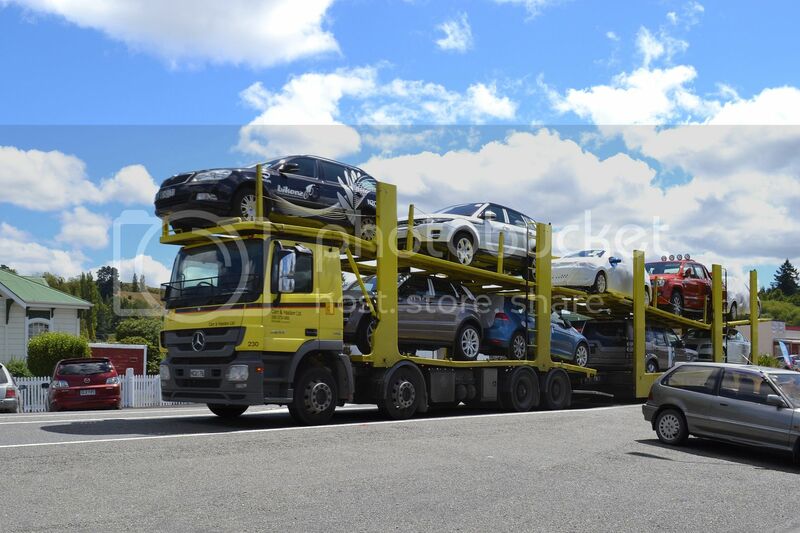 This unit went on the road in 2014. 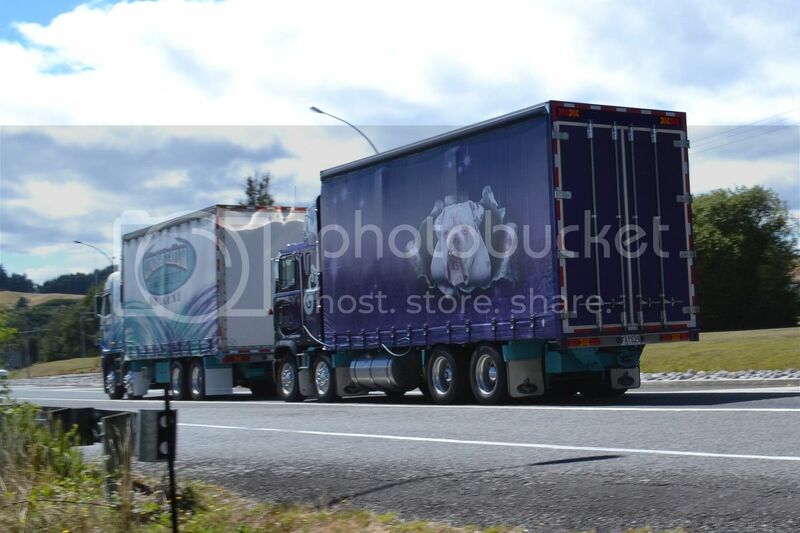 I was just putting the camera away when I saw this truck and trailer approaching. I wasn't going to snap it, but then I realized it wasn't a truck and trailer, but a Freightliner Argosy towing a Mack Ultra-liner. With a bulldog bursting out of the curtain. 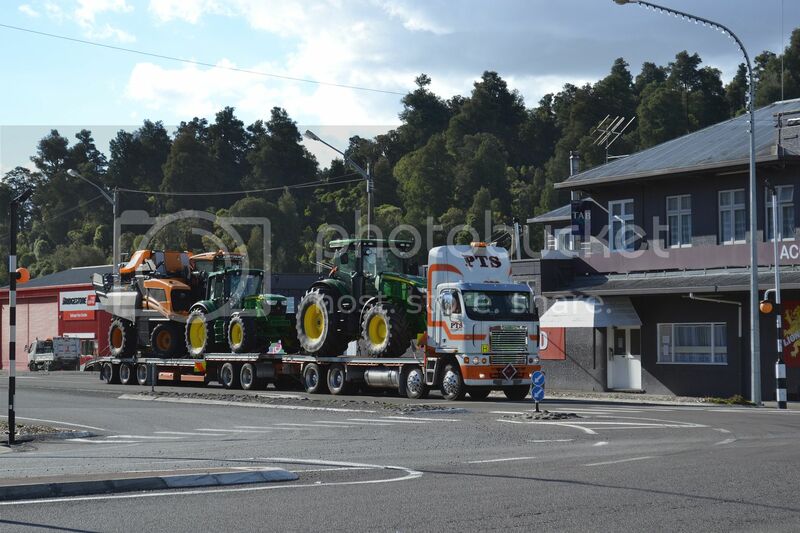 This next lot was at Hunterville on the way home. Mainstream Argosy from 2012 goes north. 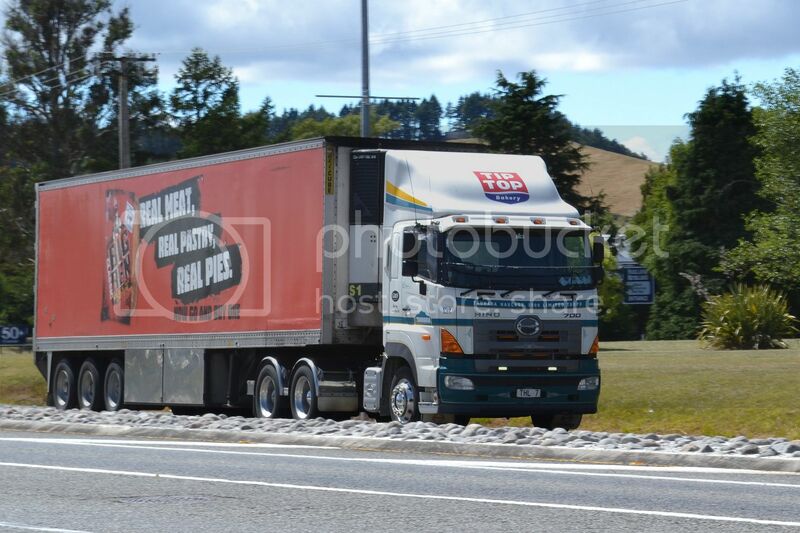 Carr and Haslam2013 Mercedes Benz Actros 3248 pulls away south after a stop for a snack. 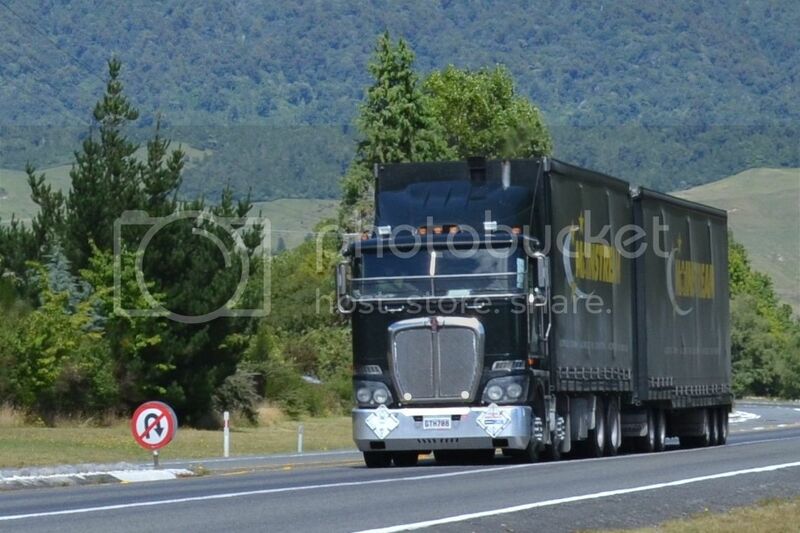 And finally a Freightlines 2008 Kenworth T404S heading south.